The people at Pixar are well-known admirers of Hayao Miyazaki and his works. Creative chief John Lasseter and his crew often watch Studio Ghibli movies for inspiration when they are stuck. 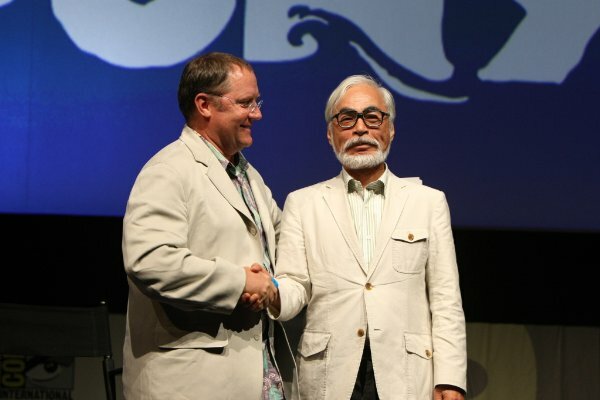 He personally introduced Miyazaki at last year’s Comic Con. Totoro even appears in their latest work, Toy Story 3, and Miyazaki and Toshio Suzuki are named in the “Special Thanks” credits. Pixar, of course, has one of the most consistent track records in animation quality and storytelling–one only equalled by…well, Miyazaki himself. I’d like to suggest that some of the reasons why are similar, and that anime in general might learn something from the consistency of their success.